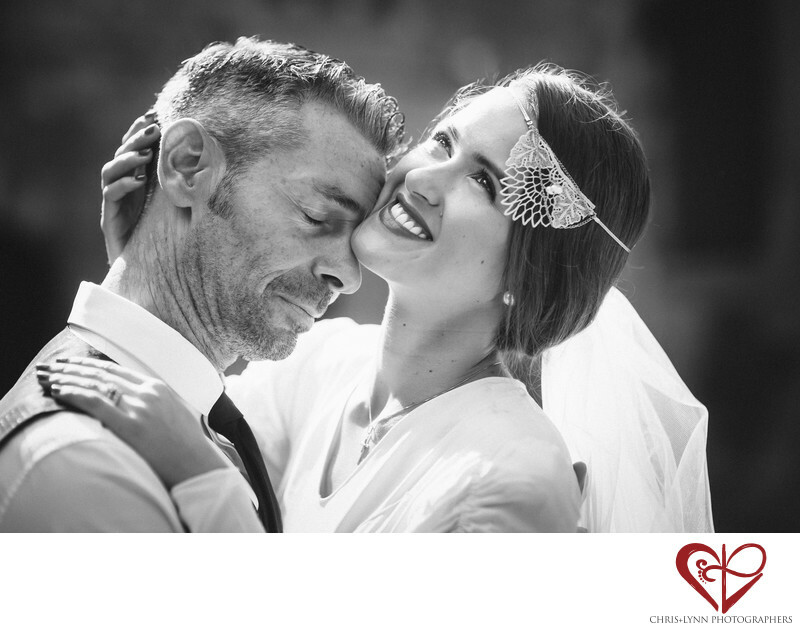 One of the things we love most about wedding photography is that there is so much emotion. With what other type of photography can you expect to capture such strong feelings of love, happiness, joy, nostalgia and even sadness all in one day? For us it is really a privilege to document a couples’ most meaningful - and in many ways most private - emotions. To have photos of their day that ring true, couples really need to let down their guard, be themselves in front of us, and share their feelings. Essentially, they have to trust us. I love that this couple felt comfortable enough with us to let their emotions show. To really capture the happiness of her expression and the contrasting intensity of his, this photo was best as a close-up shot with Sigma 85mm lens. In general we prefer to shoot closeups with long lenses - the 85mm, 135mm, or 200mm. It’s less intrusive and comfortable for the couple since we are physically far away from them but still close enough to interact. A longer lens is also more flattering and doesn't distort our subjects' facial features. 1/1250; f/2.0; ISO 200; 85.0 mm.